We are a family run hotel situated in the heart of Peebles. 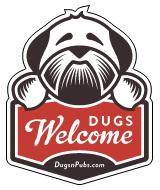 We welcome dogs and their well behaved owners. There is free wifi, free parking and many beautiful walks right on our doorstep.